Beginning in the spring of 2019, professors Loukia Sarroub and Ted Hamann will co-teach two different courses under the topic of “Migration, Glocality, and Education in Transnational Times.” Students in a first-year undergraduate course will study how migration, education and transnationalism builds on the key concept of glocality—the present and increasing set of global activities and discourses about locality, community and home in everyday life. The course will help students better understand contemporary migration glocally, both domestic and international, both authorized and unauthorized, and to see how education systems are ready (and not) to respond to these dynamics. The course will reside in TLTE but will be cross-listed in the Department of Anthropology and will be highly pertinent to students across campus. The other course combines more advanced UCARE undergraduate students and graduate students for advanced inquiry on the topic. The more advanced course will focus on how to teach about education and migration, and feature small group discussion. The two courses will be intertwined and bring together first-year students and advanced students in a unique mentoring and teaching and learning environment. “With international migration nearly tripling between 1960 and 2015 and with political turmoil, climate change, and changing notions of welcome precipitating still more movement, human migration may be the most important issue of the 21st Century,” said Sarroub and Hamann in their proposal. “Global Research Experiences in Nutrition and Health” was proposed by Mary Willis, professor of Nutrition and Health Sciences, and Catherine Frasier Riehle, associate professor, University Libraries. 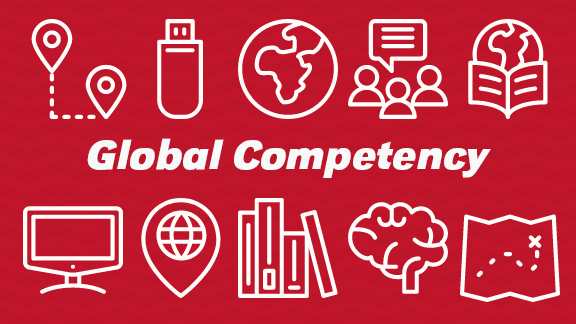 The undergraduate level course will provide students with an opportunity to structure a global research experience; strengthen their research, science and information literacy skills; and extend and document their global competency. With mentoring from NHS faculty, students will conduct “real-life” research pertaining to global topics, and share their findings in biannual symposia on campus. Students will be able to discuss global issues from a science-based perspective and present and share their global research experiences in an academic conference-style presentation and publication, such as a poster, extended abstract or manuscript.